EDINBURG — Five of the county’s 25 courts are without a court reporter, leaving Hidalgo County in what judges have called a dire situation that has led them to seek higher pay for these positions. The Hidalgo County Board of Judges met Thursday and unanimously voted to ask county commissioners to approve a salary increase for court reporters that’s on par with other Texas counties, making the position more attractive to prospective hires. The board will ask commissioners to set the salary for all court reporters in Hidalgo County to $98,000. “I would say that this is a much bigger emergency than Trump has at the border,” state District Court Judge Noe Gonzalez said at Thursday’s board meeting. Court reporters are an integral part of the legal system because they create verbatim transcripts of all legal proceedings. Without them, the judicial process comes to a halt due to the absence of official record. The shortage of court reporters in a county already strained by heavy caseloads has limited the times certain judges are able to work, leading to cases being rescheduled. State District Judge Letty Lopez is one of the judges without a court reporter and has been looking for one since December 2018. She told her fellow judges she has had three applicants but pay is a major deterrent. Gonzalez emphasized that $98,000 is a low salary compared to the rest of the state. Cameron County, which is half the size of Hidalgo and sees fewer cases, pays court reporters $97,000. Court reporters are paid $98,000 in Travis County, $100,000 in El Paso County, and $105,000 and $115,000 in Collin and Fort Bend counties, respectively. There is currently no base salary for court reporters in Hidalgo County because judges have thus far set their own salaries based on their respective annual budgets, and judges frequently request salary increases for their staffs. Salaries range from about $70,000 to approximately $90,000, Gonzalez said Friday. Across the board pay raises for those assigned to the auxiliary, county court-at-law and district courts would make it so “there’s no competition between courts and with surrounding counties, and at the very least we won’t lose to them,” he said. “Then we can start recruiting from areas of the state that may lack in other things,” Gonzalez added. 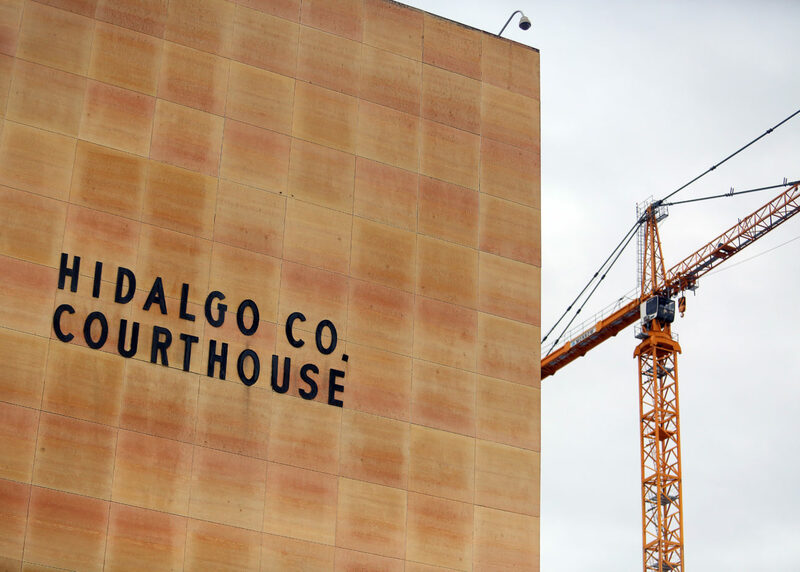 These things include counties that, unlike most of Hidalgo County’s district courts, see few appeals as court reporters can earn supplemental income from preparing records. Such income can be substantial, with Lopez remarking during Thursday’s meeting that her last court reporter routinely pulled in a six-figure salary and earned more than she did as a sitting judge. In order to offset some of the costs to the county by raising the salaries, Gonzalez asked state Rep. Terry Canales, D-Edinburg, to file legislation to amend the Texas Government Code to allow counties with populations above 750,000 on the Texas-Mexico border to collect a $30 court reporter service fee for civil cases. As the code currently reads, only border counties that contain a municipality with a population of 500,000 or more are able to charge this fee, which is a $15 increase from the statewide fee. The legislation, House Bill 3361, was referred to the Judiciary & Civil Jurisprudence Committee on Monday. Court reporter fees go toward the county’s court reporter fund, which covers the costs of hiring substitutes. HB 3361 would, if passed, double the fund’s revenue, which has been accessed often as a result of the shortage. “We’re hoping the county commissioners and the county judge understand what we are trying to do is not waste taxpayer money, but rather utilize taxpayer money more efficiently so we can all work effectively,” Gonzalez said. The judges could go before commissioner court with this request as early as the April 9 meeting, as it will not be discussed at Tuesday’s meeting.